FREE Wedding Sample Kit! PLUS FREE Shipping! 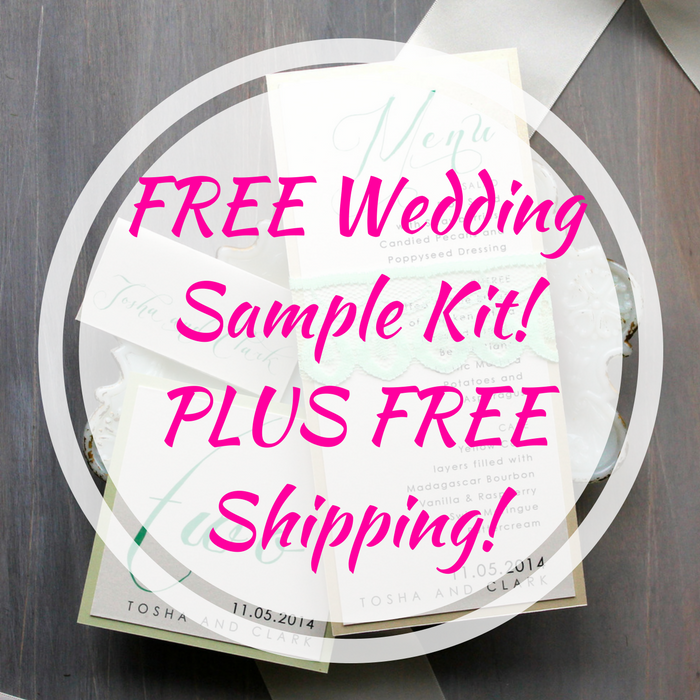 You are here: Home / FREEbies / FREE Wedding Sample Kit! PLUS FREE Shipping! While supplies last! Hurry over to Minted to score a FREE Wedding Sample Kit PLUS FREE shipping! All you need to do is just fill out the short form. This includes five designs, plus swatches of their premium paper – perfect for seeing the quality of their wedding invitations/save the date cards. Really nice!